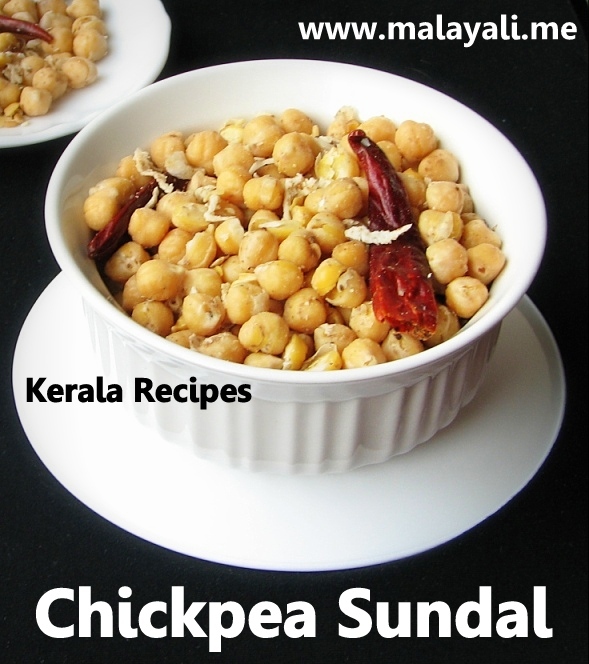 Sundal is a South Indian snack made from Chickpeas or Garbanzo Beans. It is popular as a street food especially in Tamil Nadu. Sundal is high in protein and can quickly satisfy your craving to snack. I have used White Chickpeas (Kabuli Chana) in this recipe. If you prefer, you can use the Black Variety commonly known as Bengal Gram. 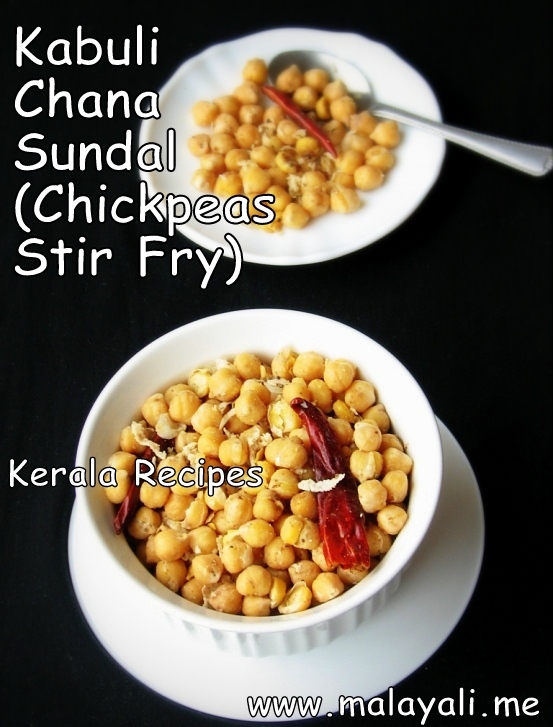 You can make Sundal with different types of legumes like Peanuts, White Peas, Green Peas and so on. This is one healthy snack which I keep in my refrigerator to curb my hunger cravings. Sundal is an excellent option for people following Low-Carb diets because of its high protein content. Soak the Chickpeas in plenty of water for at least 6 hours or leave it overnight. Wash and drain the chickpeas. Pressure cook the chickpeas with 6-7 cups of water and salt to taste for around 15 minutes (4-5 whistles) on medium heat. You can add a bay leaf and few garlic cloves while cooking the chickpeas to reduce the digestive problems caused by legumes. I have found this to be very effective. Heat 1 tbsp oil in pan and splutter mustard seeds. Throw in the urad dal and dried red chillies. Stir fry for a minute. Once the urad dal begins to brown, add the drained chickpeas and grated coconut. Stir fry for 4-5 minutes. Remove from stove top and sprinkle lemon juice. Do a taste test and add salt only if needed. You can add chopped tomatoes, onions or raw mango for variations to this recipe. For a spicy kick, try adding Red Chilly powder or Chaat Masala. For a quicker version, you can use Canned Chickpeas so as to skip the pressure cooking part.